Second in a series of honoree announcements. More to come! Through her work at Navigant Credit Union, as well as her role as City Councilwoman At-Large for the City of Pawtucket, Sandra has demonstrated a natural ability to bring diverse groups together to effect positive change. She is a graduate of LRI’s Leadership Central Falls program in 2012, where she worked collaboratively with others to help better the City of Centrals Falls. Sitting on the Board of Directors of both the YWCA of Rhode Island and Latino Public Radio, she has been a consistent advocate for women and the Latino community. Leadership Rhode Island is proud to recognize her on March 22nd for her valuable contributions to our state. Please join us at the Providence Marriott Downtown as we celebrate Sandra and other leaders as hosts who are yet to be announced. Tickets and sponsor packages are available at lriluncheon.eventbrite.com. Sandra Cano was born on September 9th, 1983 in Medellin, Colombia. She moved to the United States with her family in September of 2000 and settled in Pawtucket, Rhode Island. Though she had graduated from a Colombian high school, she was required to re-take her senior year in Rhode Island to be able to apply to college. She enrolled at Shea High School and graduated one year later. She then enrolled at the Community College of Rhode Island(CCRI) where she earned an Associate’s Degree in December of 2003. Sandra graduated with honors and was recognized by the Rhode Island Educational Opportunity Center for her academic performance while at CCRI. She then went on to earn a Bachelor’s Degree in Management and Economics at Bryant University in 2007, the same year she became a citizen of the United States. Sandra then completed a Master’s Degree in Public Administration, with a concentration in Youth Development, at the University of Rhode Island in 2012. Sandra additionally completed the Harvard University Executive Leadership Program in 2015. Currently, Sandra is the Assistant Vice-President of Business and Community Development at Navigant Credit Union. She is responsible for developing strategic business sectors, the underbanked community, and community based partnerships, as well as developing financial education campaigns in our urban communities. She received the President’s Award in Community Service at Navigant Credit Union in 2012. “Sandra’s tireless passion to inspire and advocate for women, youth and urban communities has made her a leader in Rhode Island, her involvement recognizes the positive impact she is making on our community and beyond” said Gary Furtado, Navigant’s President and CEO. Previously, Sandra was Operations Coordinator at the Providence After- School Alliance (PASA), where she organized and facilitated system-wide transportation, snack distribution and communications systems and managed the AmeriCorps Everyday Explorers. Sandra has also worked at Sovereign Bank, where she was a Personal Banking Representative. Additionally, Sandra has developed a strong track record of volunteerism and community engagement, including serving as the Communications Coordinator at Progreso Latino and hosting and producing a radio show on Latino Public Radio, where she is also a board member. 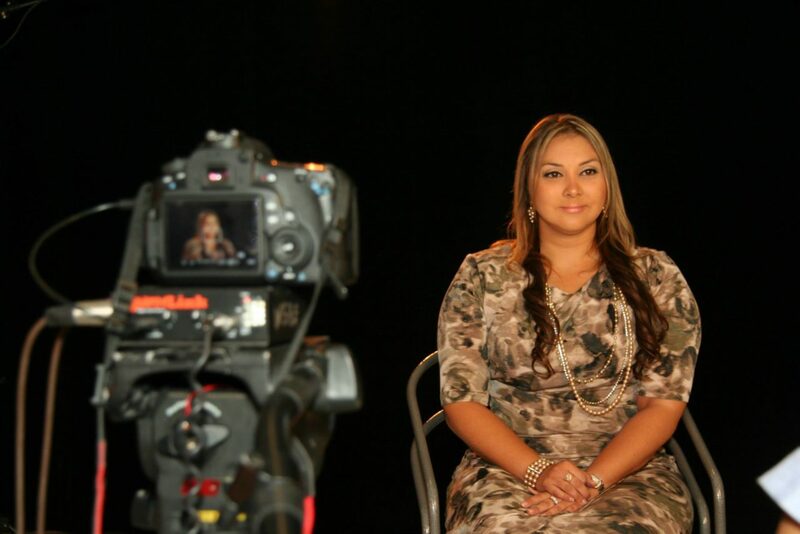 Her shows address cultural, health, and career resources for Latino youth. Sandra was elected to be a member of the City of Pawtucket School Committee in 2012 and was the First Latina ever elected in the City of Pawtucket. She is also on the board of directors of the YWCA of Rhode Island, ECAS Theater, RI Latino Arts and Serve Rhode Island. Sandra is also a graduate of the Leadership for a Future program (’09) the Latina Leadership Institute (’10) Leadership Central Falls (‘13) and the New Leaders Council Rhode Island (‘14). In 2012 Sandra was invited by Providence Mayor Angel Taveras to participate in the White House Initiative-“Transforming Education Outcomes for Hispanics” Summit. She was also one of only two interns invited to be part of the 2012 Commission on the Status of Women Conference, a two week long conference held at the United Nations in New York City in 2012. As a result of her participating in this conference, Sandra was chosen to be part of the Young Women’s International Training Institute (ITI) in Bangkok, Thailand, in May 2013. That same year she was chosen as one of only twelve credit union professionals in the United States to travel to Costa Rica in to participate in the International Credit Union Leadership Program. This prestigious program was offered by the World Council of Credit Unions and funded by a grant from the U.S. Department of State’s Professional Fellows Program. Sandra was awarded the “Credit Union Rising Start” recognition in March 2012 by the Massachusetts Credit Union League, New Hampshire Credit Union League, Credit Union Association of Rhode Island and Center Point Magazine for being an outstanding employee and business leader, and for making a notable impact on her credit union and within the industry. The same month, Sandra was selected to be a candidate for the Man & Woman of the year by the Leukemia & Lymphoma Society and the Campaigning for a Cure in which she was recognized with the Mission Award 2012 at the finale Ceremony. Sandra received the Collaborator of the year award 2013 by the Central Falls Community Collaborative and has been recognized by her community involvement and positive impact for her work to improve the lives of the underserved communities in she serves in Rhode Island (Central Falls, Pawtucket and Woonsocket). Sandra was elected to the Pawtucket City Council At-Large in 2014 and has served since. She has focused her city legislative efforts on economic development and supporting the city’s creative and arts economy. Sandra recognizes that small businesses are the backbone of our local economy and she has fought hard to support them by generating buzz for new businesses, cutting red tape, and creating incentives for economic growth. As a community banker, Cano is familiar with the challenges that small businesses face on a daily basis. That’s why she has worked so hard to help establish an office of economic development to support strategic development initiatives and investments in the city budget. She has also promoted local businesses through her monthly Crash Pawtucket initiative – a partnership with many young Pawtucket leaders. Cano has also taken strong stances on public safety and education. She worked with colleagues to pass an ordinance to hold massage parlors accountable for exploiting women, and introduced an ordinance protecting the rights of pregnant and nursing mothers in the workplace. Sandra Cano lives in Pawtucket and currently is a City Councilwoman At-Large.